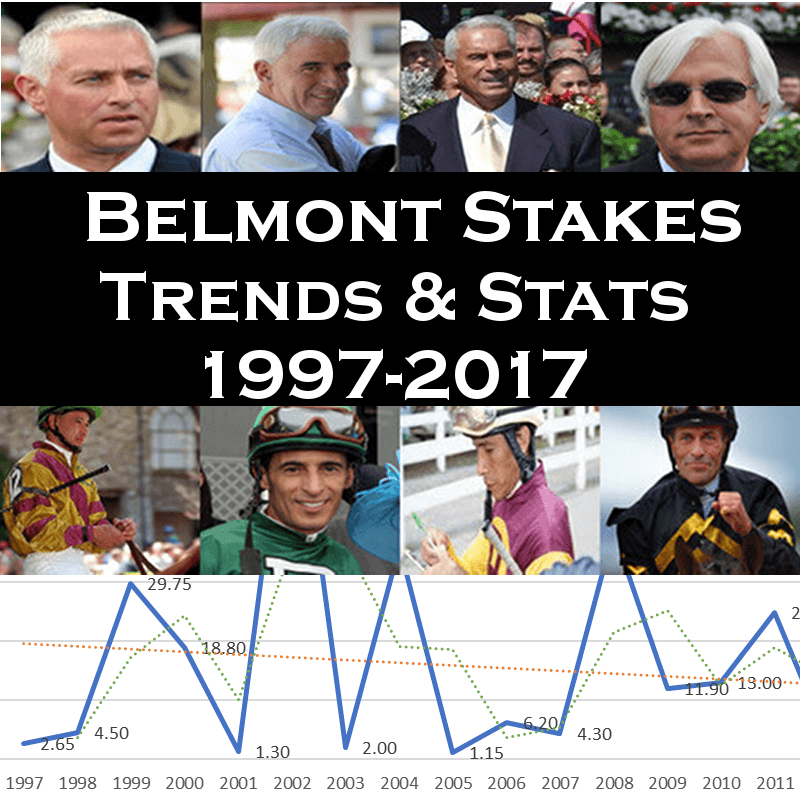 Here are 21 years of Belmont Stakes trends. What are the average odds and post position of winning horses? How many horses have won both the Kentucky Derby and Belmont Stakes since 1997? 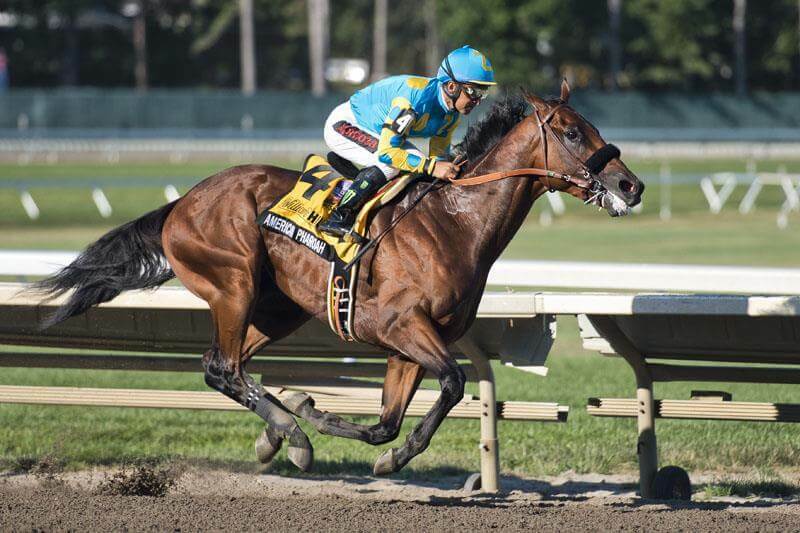 Which horses were the biggest Triple Crown Busts? I’ve got valuable trends and insights below. Each stat has its own table, chart or graph. Last Triple Crown Winner: 2018 – Justify with jockey Mike E. Smith and trainer Bob Baffert. The previous Triple Crown winner was American Pharoah in 2015. 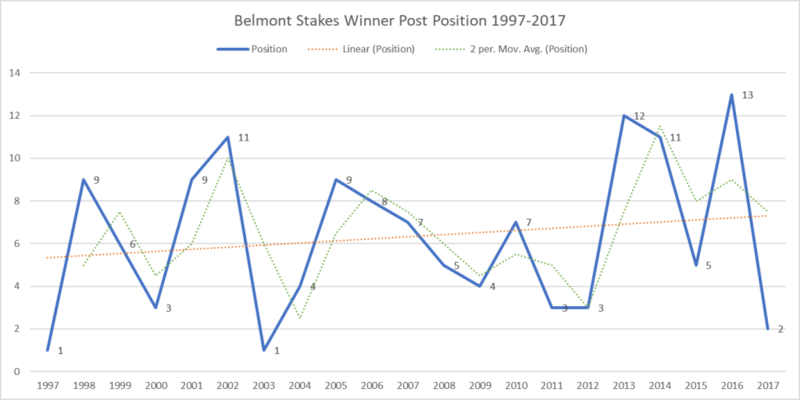 I graphed the odds of each winning Belmont Stakes horse. The overall trend suggests favored horses win more often in recent years. Eliminating Sarava’s 2002 long-shot win only confirms the obvious: long-shot victories are rare. On average, horses must start the race at +1300 (14.917) or better to win. Make your picks accordingly! Post position does impact a horse’s performance, particularly its start. The winning horse has started at the 6.333 post position between 1997-2017. The most common winning post position is 9. 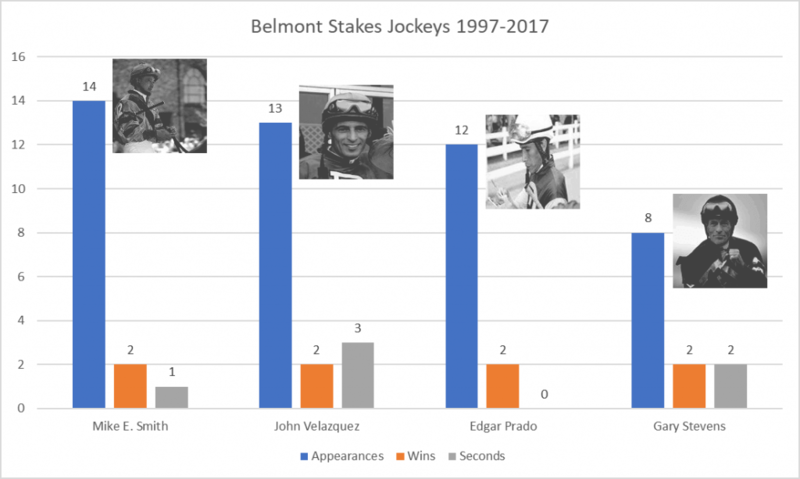 Jockey Mike E. Smith has appeared 14 times in the Belmont Stakes. He and John Velazquez, Edgar Prado and Gary Stevens have each won twice. John Velazquez has finished second 3 times. Todd Pletcher has had 24 horses in the Belmont Stakes between 1997-2017. He’s won 3 races and placed second 5 times. Bob Baffert has won twice including the 2015 Triple Crown with American Pharoah. 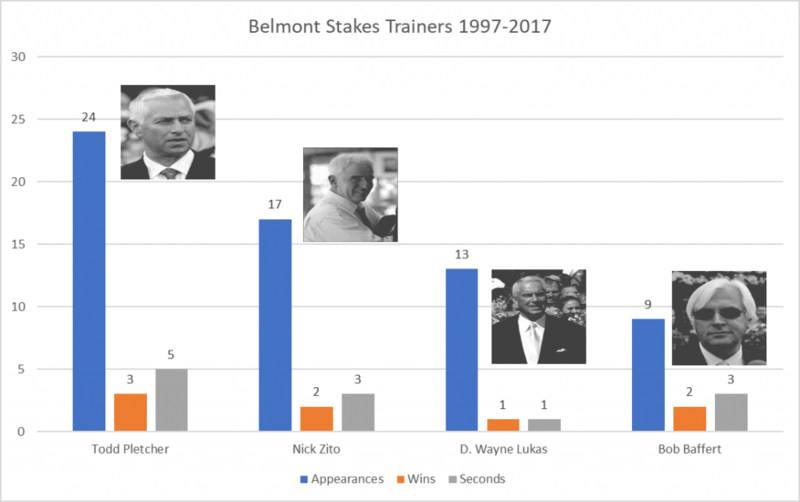 Nick Zito and Todd Pletcher have had 41 horses combined in the Belmont Stakes to D. Wayne Lukas and Bob Baffert combined 22 horses. Pound for pound, Baffert has the highest quality horses. 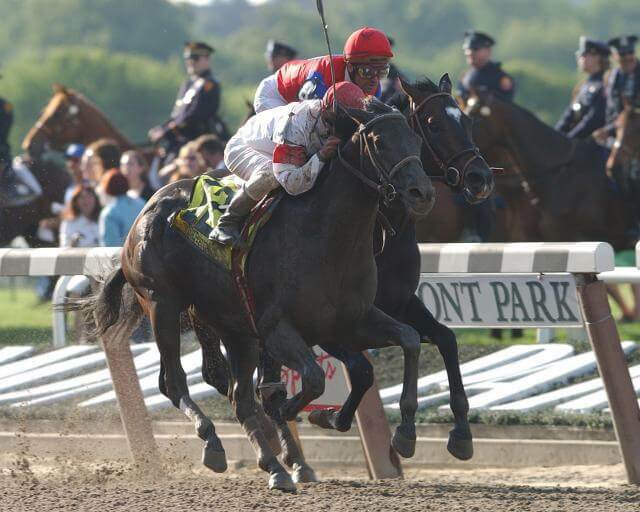 2001 3 Monarchos Jorge Chavez John Ward Jr.
2009 3 Mine That Bird Calvin Borel Bennie L. Woolley, Jr.